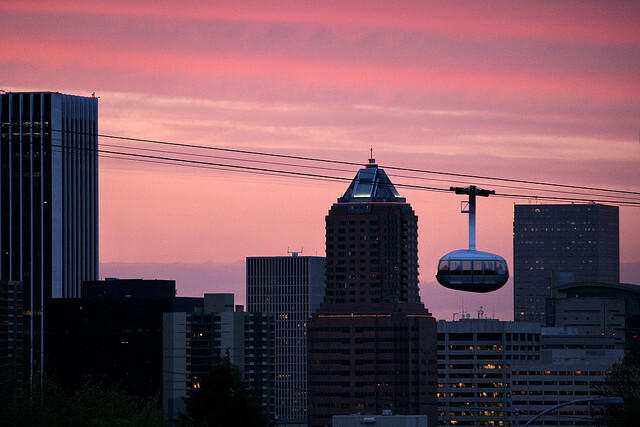 Seattle’s monorail was unveiled in 1962 and it now carries 7,000 passengers per day on a one-mile track between the Space Needle just north of downtown and the center of the city. While plans were first proposed in 1997 to extend the monorail, they were scratched. But now another way to travel and see Seattle from the sky is being offered by Kyle Griffith, the owner and developer of the Seattle Great Wheel (that rests on Pier 57 on the waterfront): an urban gondola. 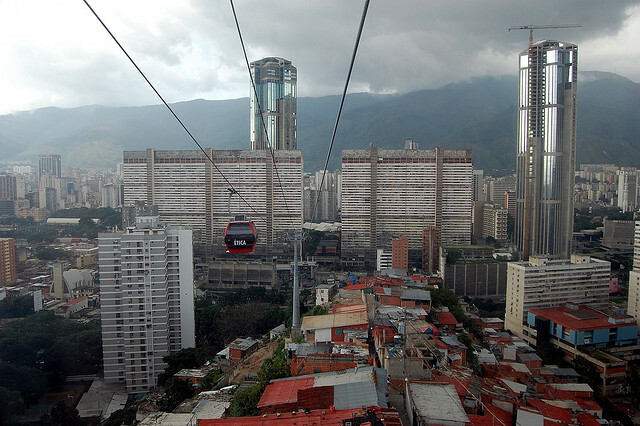 Cities like Rio de Janeiro and Singapore have installed gondolas to great success, providing a more exciting way to commute and an unusual way to view the urban landscape below. 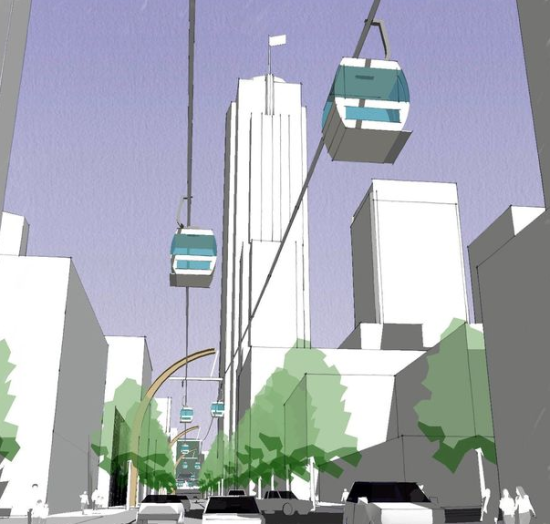 The gondola would travel along Union Street from the Convention Center—four blocks from the monorail stop at Westlake Center—to the waterfront, with an additional stop in between at Pike Place Market. The gondolas would carry at total of 1,800 people per hour or the equivalent of 50 packed Metro buses. 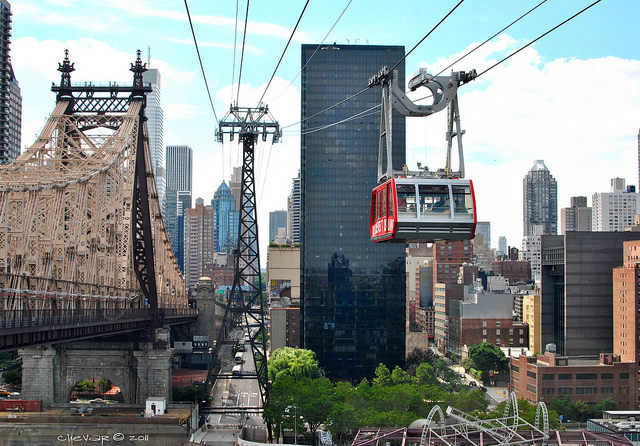 The project would be privately financed. Right now, Griffith is seeking permits and putting together an environmental review. If successfully backed and approved, construction would start after the Alaska Way Viaduct is dismantled. 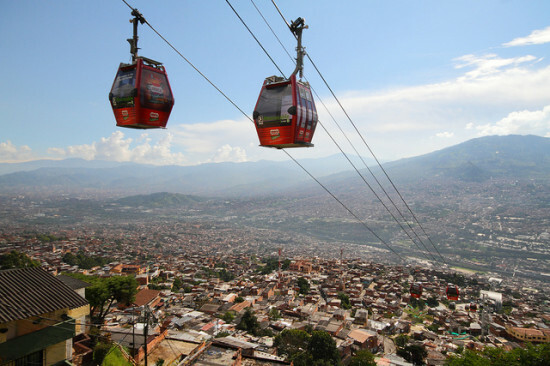 Check out this website devoted to urban gondola projects, and see more of them below.